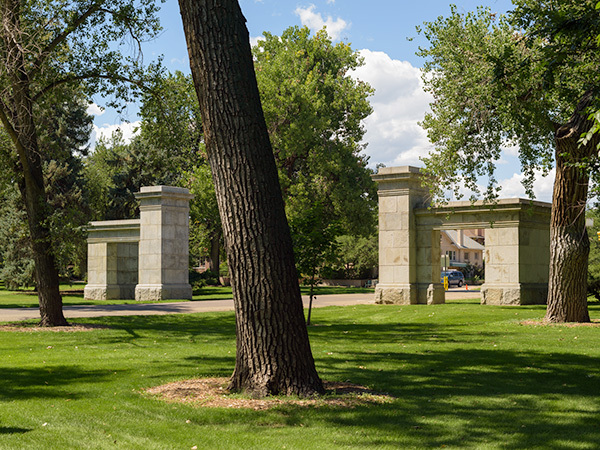 Preserving valuable open space and framing views of the surrounding Rockies, this 330-acre rectangular park was among the first in the city. 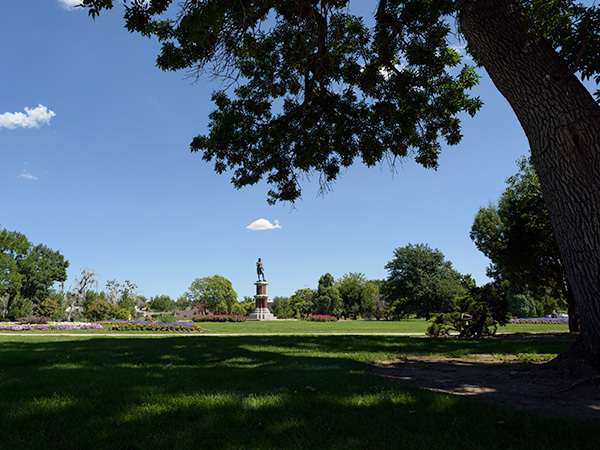 Constructed on gently rolling plains and irrigated by the City Ditch, the park was originally laid out in 1882 by civic engineer Henry Meryweather and redesigned by George Kessler and Reinhard Schuetze at the turn of the century. 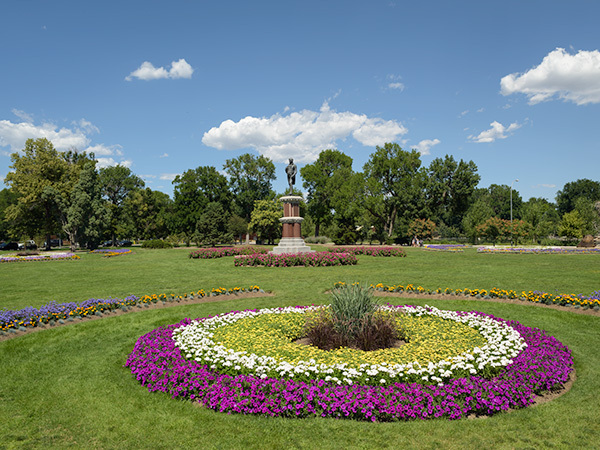 The northern section, designed to support active pursuits with the inclusion of numerous playfields and the 80-acre Denver Zoo established in 1896, served as a plant nursery for the Denver Park and Parkway System. With an extensive network of meandering paths and roads, the western section includes groves of deciduous and coniferous trees, naturalistic meadows, and structures—including one constructed by the Works Progress Administration. 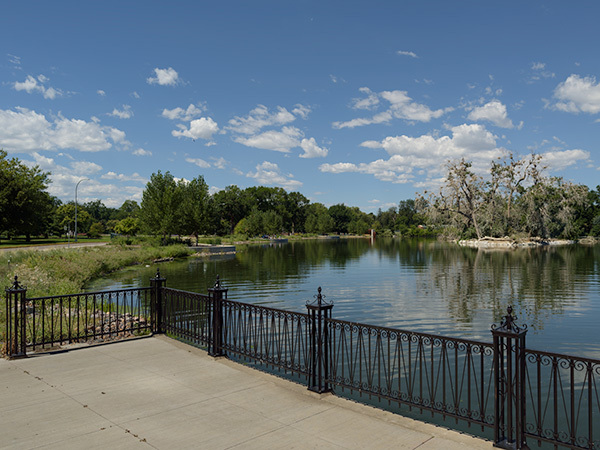 The center of the park includes two large constructed recreational lakes with historic fountains, multi-use pavilions, and islands. East of the lakes at a higher elevation, the Denver Museum of Natural History was established in 1901 in a neoclassical building on a hill providing scenic vistas. Between 1900 and 1950, S.R DeBoer worked with numerous collaborators including Olmsted Brothers to develop Kessler’s design. 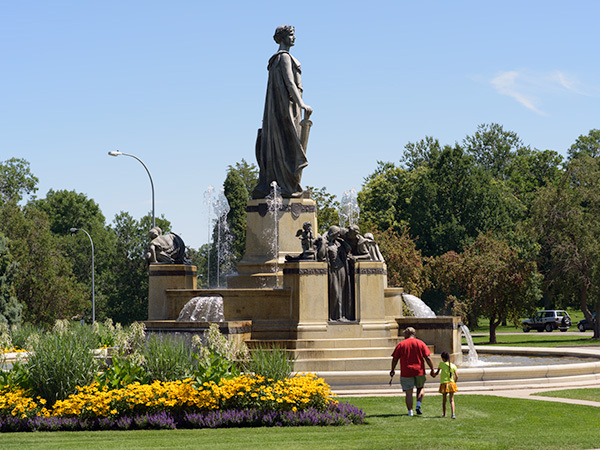 In the first three decades a number of commemorative park entrances, fountains, and memorials were installed. 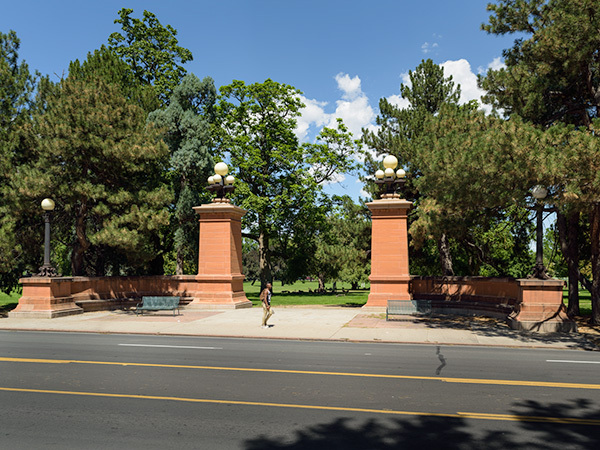 Extending the southwest corner of the park to Colfax Avenue, the French promenade-inspired City Park Esplanade designed by Kessler includes a gateway designed by Edward Bennett. Thematic gardens in the southeast section of the park including a labyrinthine collection of juniper and the nearby Box Canyon and Waterway, both designed by DeBoer in the 1950s. 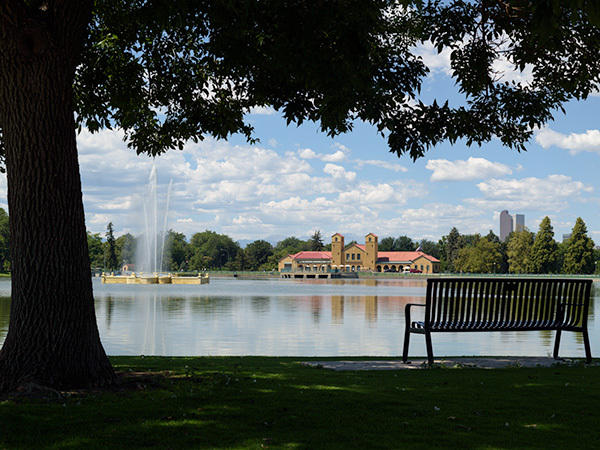 In 1986 City Park was included in the National Register of Historic Places listing of the Denver Park and Parkway System.